Not fond of having 394723894 threads for art, so everything of mine shall go here. Art for UTAUs, fanart, etc. 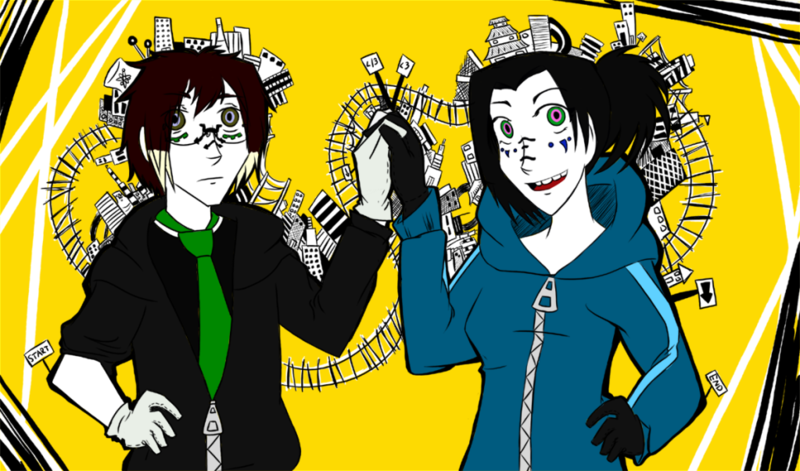 I'm still designing my UTAU, which is a pain to do without my tablet (I am sad without it), so here, have some Matryoshka fanart I did of a couple of my not-UTAU characters awhile back. I seriously regretted the executive decision to draw the city bits. Slightly larger file size to look at the city details. Some buildings have faces, signs, etc. Also, Zakuro's eyes. Putting that hot pink in there amused me to NO END. As did drawing the ENORMOUS JACKET ZIPPERS because I guess I really like large tabs of metal. I love the Glasses... o_o; A lot. And those city details are amazing. Why thank you. C: It was a lot of city to draw. Oh yeah, I've got this one too, which I did before the other. 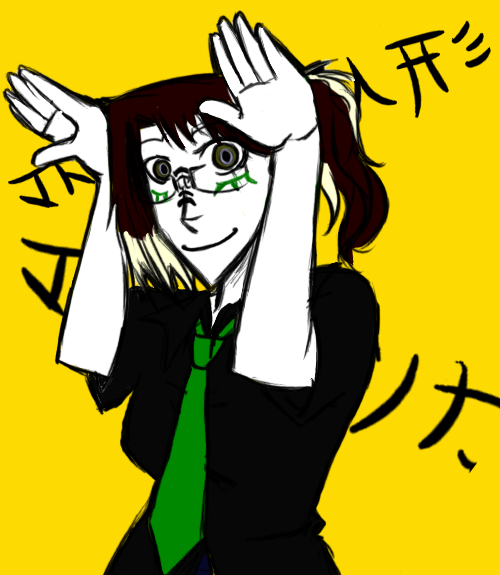 Just a simple doodle of myself in sorta Matryoshka form as well. I'm intending to do a costume for Halloween of my own Matryoshka design as well, though not quite like this picture.